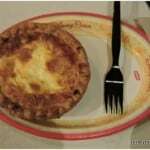 For quite a long time, France’s World Showcase has featured some of the best cuisine in EPCOT, but you could only experience it in table-service venues like Les Chefs de France or Monsieur Paul. 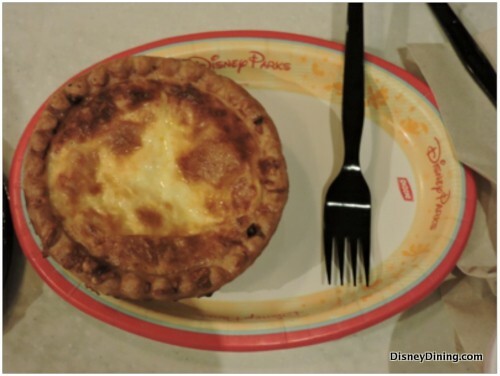 Though these restaurants serve delectable meals that will impress any Disney diner, they may not fit into the average guest’s vacation budget, and they usually require a reservation. 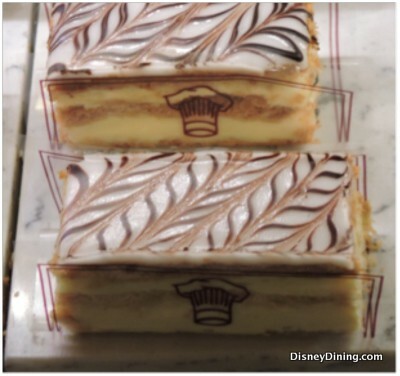 Disney provides a solution by offering the café-style, quick-service restaurant, Les Halles Boulangerie-Patisserie. 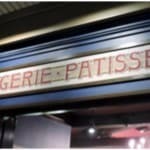 Sure, it seems like a mouthful, but a boulangerie is simply a French bakery and a patisserie is a pastry shop. Put both of these together, and you have a dining experience that’s not hard on the wallet but will satisfy your hunger and delight your taste buds. Even though Les Halles can be described as a café, the French define cafés as public meeting houses rather than “coffee houses.” This means you’ll find more than coffee and pastries on the menu; the restaurant also serves beer and a selection of wines. The French would have it no other way. Les Halles Boulangerie-Patisserie appears to be hidden in the back of the gift shop right outside the exits of Impressions de France, so you might have to hunt a little bit to find it. However, when you find it, you’ll discover these five reasons why you’ll love dining there. 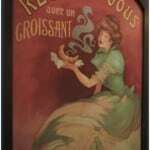 The restaurant transports you to a 19th century Parisian café with its artwork and décor. 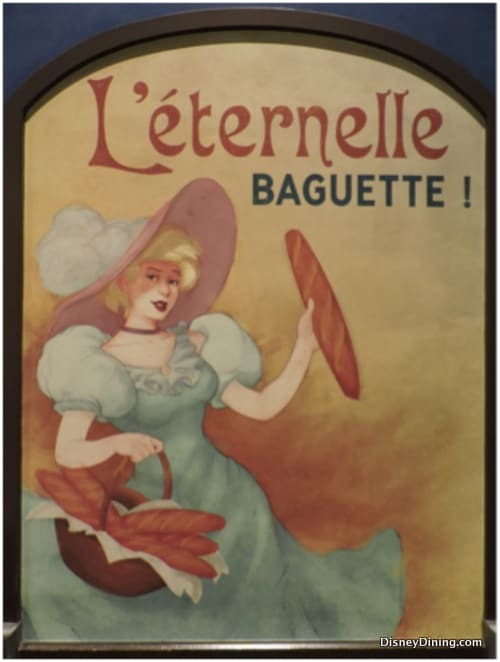 Picturesque paintings of café posters greet you with promises of fresh baguettes, croissants, and the like, so if you weren’t hungry already, the images will likely get your stomach grumbling. Tables and chairs provide guests with plenty of seating in the dining area, but for those who enjoy a quick snack, standing tables and counters are available. 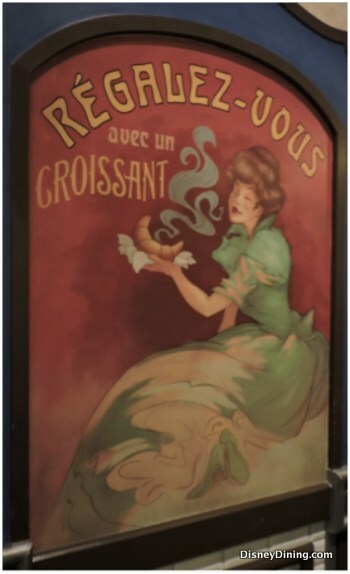 Also, guests with even a rudimentary understanding of French will enjoy reading the phrases posted throughout the dining hall, and those who are French-challenged can ask a Cast Member to translate. Forget all the stereotypes you’ve heard about the French. These Cast Members enjoy interacting with their guests. You really cannot experience the richness of the World Showcases without speaking with Cast Members from each country, because they’re eager to share their culture with you. 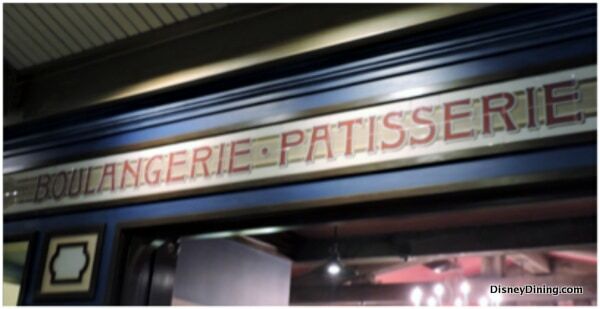 At Les Halles Boulangerie-Patisserie, the staff show great courtesy and interest in not only taking and filling your order, but also in sharing their knowledge of French bread and pastries, so ask questions. Additionally, if you’re adventurous enough to try speaking any French, despite your skill level, they’ll respond with delight and encouragement. 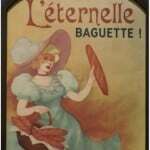 The French are famous for their bread, and Les Halles Boulangerie-Patisserie lives up to the reputation. When you bite into one of their fresh baguettes that’s been toasted, you encounter an outer crunchy crust with a soft, fluffy inside, so you won’t be chewing too long before swallowing. In addition, the croissants served here contain the perfect blend of flaky texture and fluff without being too buttery. You may order baguettes and croissants by themselves, but try some of their sandwich options, like the jambon beurre (ham and cheese), to really satisfy your hunger. The dessert menu at Les Halles Boulangerie-Patisserie contains all of the classic French delights that have been exported throughout the world. 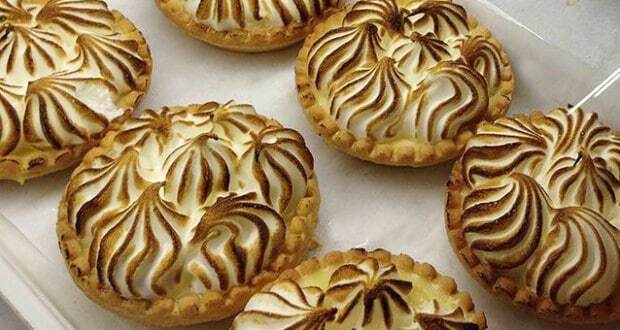 From éclairs to mousse, you won’t find it difficult to please your sweet tooth. 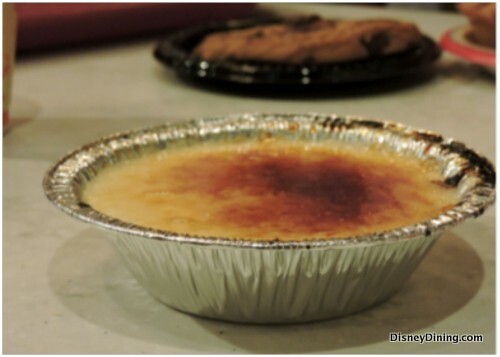 The pastries are fresh, and the créme brûlée features a sweet, crunchy, caramelized top with delicious vanilla custard right below it. 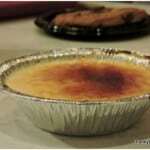 If you’re a fan of dessert, then you will not be disappointed, because Les Halles delivers. No, we’re not talking about the 19th Century emperor of France, but perhaps this is the emperor of desserts at Les Halles Boulangerie-Patisserie. 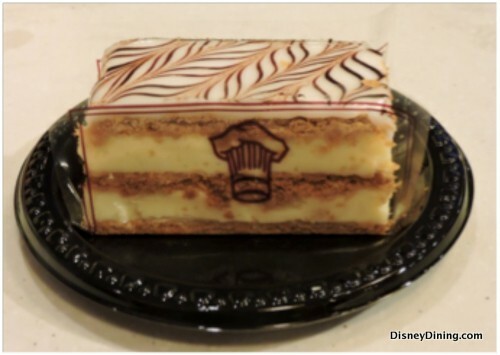 All the desserts at this restaurant rank high on the delicious scale, but the Napoleon is the “piece de resistance.” Ask any Cast Member here, and they will tell you that this is the most requested dessert. 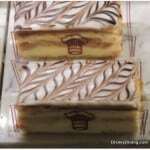 It consists of thin, flaky layers of puff pastry separated by alternate layers of cream that isn’t excessively rich. 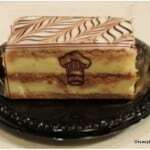 The Napoleon is topped off with sweet icing that ties the whole pastry together. Though it is known as the Napoleon at Les Halles and many other places, the French actually call it mille-feuille, which is translated as “a thousand leaves.” The many layers of pastry seem as thin as leaves, which perfectly justifies its name. When you take a bite of this treat, you’ll know exactly why this dessert reigns supreme at Les Halles, and you may even order another thousand leaves.